In 2014 when my memoir, “My Precious Life” was published, I was working on a book of poetry, in the works for over forty years. 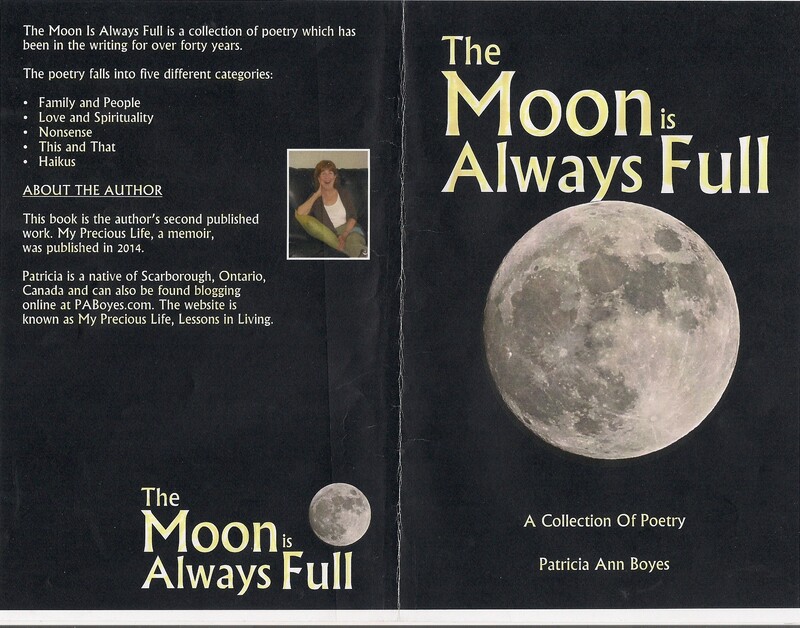 “The Moon is Always Full” is now about a week away from printing. This is a sample cover of the book which contains one-hundred-and-twenty-nine poems, including thirty-one in haiku form. This is proof positive that we are never too old to start something new. Having been on this planet for eighty-one-plus years, each day continues to be an opportunity to welcome new ideas and seek new horizons. Carpe diem! Questions and feedback are most welcome. the moon is always full. Today’s post came via Facebook yesterday. It was accompanied by a very long, meaningful poem but I’ll just post one verse here. Happy Sunday. I was led to a meditation site online from a note I had taken on a television program a few nights earlier. The meditation that day was titled “Home”. It suggested that I am from another dimension, one of peace, and light, and silence. This explains my love of silence…I bask in it when stillness seems to envelop me from time to time. 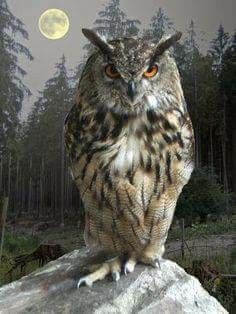 At different times in prior years I had written poems, one titled,” A New Dimension” where becoming aware of the things we usually ignore opens our eyes to what’s around us. “The Journey” depicts a life of love and serenity. To my mind, heaven is another dimension and perfectly fits the description above…love and serenity. If I had ignored the prompting to take a note from a television program, I would not have been aware of the online meditation that gave me a fairly apt description of “where I am from”. I attribute the inspiration for “The Journey” to a surgeon who many years ago released me from hospital with these words, “Live, love, and be happy.” And this is precisely my life today. This headline this morning prompted today’s blog which is a slightly altered version of an August 1/14 post. It is actually the third time for posting this poem but somehow the times seem to warrant it. In 1995 I wrote this poem called The Victim. It’s about crimes and war and unsound government, and the entire world possibly becoming victim to all of these things. And then thinking about the poem in a new light, I realized that it’s not only crimes and wars and unsound government that hurt people, but the way we treat each other on a daily basis. The sad part of all of this is the take heed part. If we don’t take heed, nothing changes, and if we do…can you imagine? This post is a slightly altered repeat of an August 1, 2014 blog. Poetry is another pleasant pastime of mine. It’s been quite a while since my poetry muse has paid me a visit but yesterday she came along and told me to write about the sunshine in my heart. And so I did. There’s no sunshine in my heart. Again, there’s sunshine in my heart. Recently a fellow blogger posted a beautiful poem asking the question “What is Love?”. Today I am attending the wedding of two people who have found love once again in their lives; the bride is eighty years young and the groom ninety-one. In 2014 I wrote this poem, “What is Love?” Happy weekend.